On 21 October, Cranleigh Rotary Club organised a Race Night in support of charity, most notably the Virtual Doctors Group which works in 20 rural health centres and two district hospitals in rural Zambia. 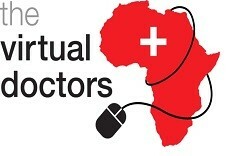 The Virtual Doctors Group provides sophisticated, yet easy-to-use, telemedicine software and smartphones with internet access which enable health workers to send electronic patient files to volunteer doctors in the UK for diagnosis and treatment advice, thus helping to save lives. Their vision is to expand into more and more clinics, and to offer advice to Clinical Officers who may have to otherwise refer their patients on to a hospital. This could involve long, tedious and sometimes painful walks to the hospital, and then back to the clinic some days later to get help. Moreover, some critically ill patients die on their way to hospital due to a lack of ambulances and suitable roads in some rural areas. Zambia has a population of about 16 million people but has only around 1,500 fully trained clinicians. According to the World Health Organisation, a manageable doctor-patient ratio is 1 doctor per 5,000 patients, but Zambia has only 1 doctor per 11,000 patients. Since the need is great and resources are limited, Cranleigh Rotary decided to organise an evening of fun (and possible financial gains) that would also help us to support this very urgent health problem. Our first Race Night was well attended and great fun was had by all concerned, raising over £1000 for charity. Our thanks go to all the sponsors who made the evening possible.